DWSCo is a sturdy rustic tweed perfect for outer garments to keep the winter cold out. 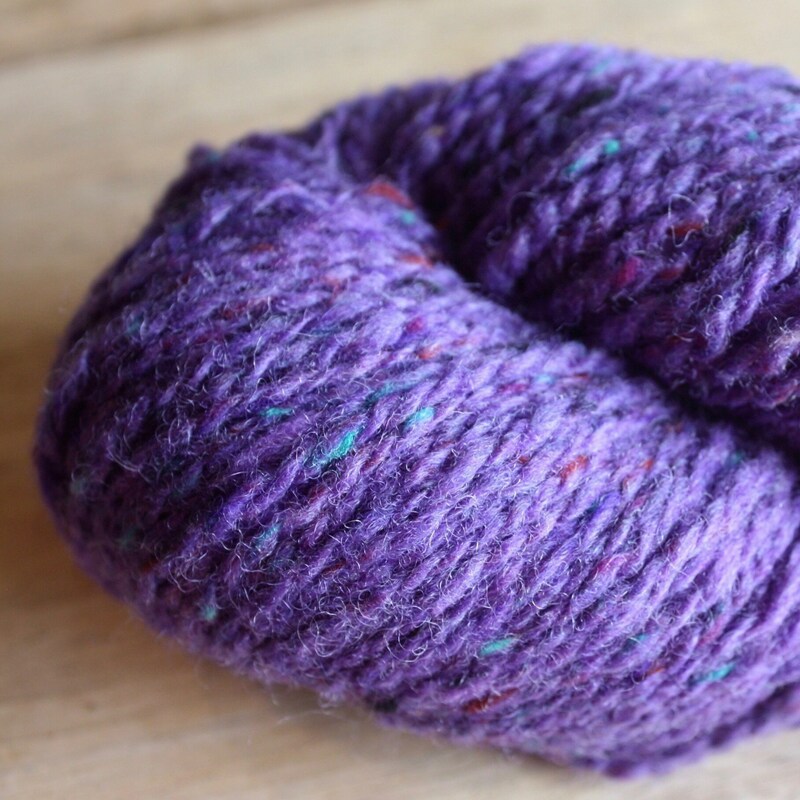 This yarn is 'in the oil' meaning the final mill process of scouring the spun yarn was bypassed. This process uses an immense amount of water for no particular reason but to to make the yarn look shiny new... when in fact you repeat the process when you block the garment... a total WASTE of a valuable natural resource! 'In the oil' is also more suitable for machine knitters and handweavers helping lubricate as you work. If you don't like the feel you are free to wash the skeins prior to use. 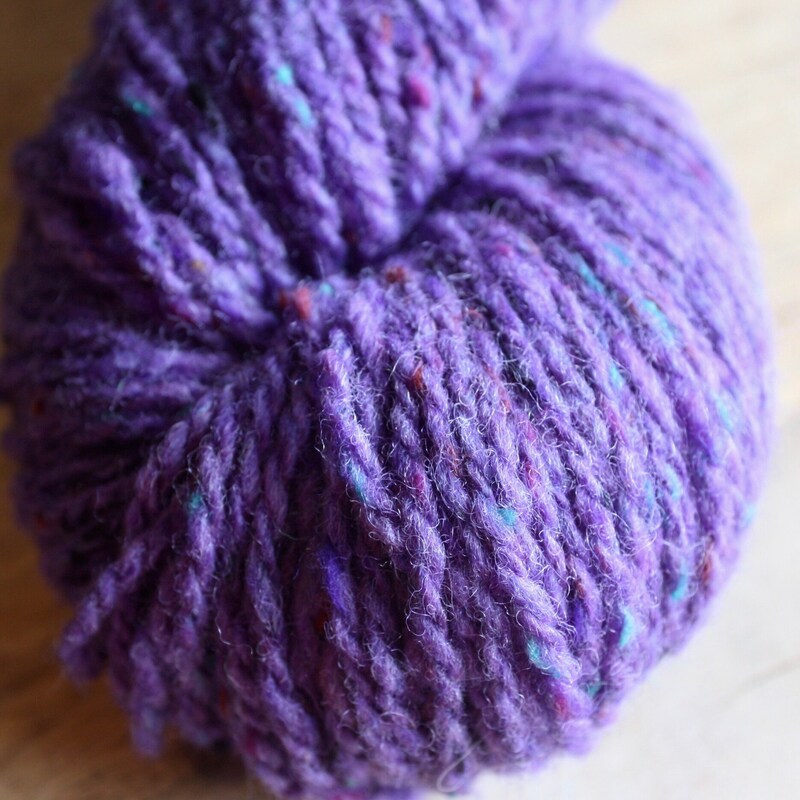 Handwash with love in a quality wool wash and hand hot water, dry flat and watch the yarn bloom!